I am involved in my church, and I believe in raising my children in the context of faith. However, as a survivor of abuse, quite often what I hear in the homily or in passing conversations is not supportive of someone like me who has experienced true evil. 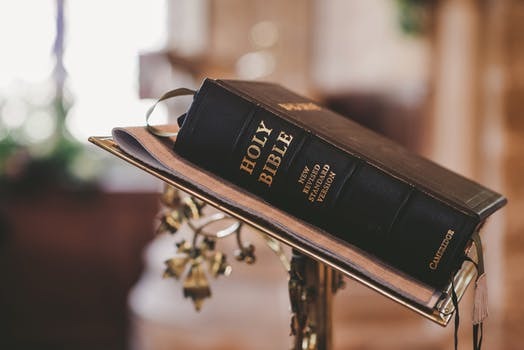 Most clergy are well trained in scripture and theology, but lack training or perspective on ministering to people who have experienced complex trauma. People who have experienced trauma need to look to trained, professional therapists, not church people, to find the help they need. While I do believe in the power of prayer and community, they should not be substitutes for medical help. For the sake of brevity, I’m going to focus on what I find to be most common in Christian circles. When people in the church use scripture to “prove” their own self-righteous beliefs, this is spiritual abuse. When people in the church use “clobber passages” to support mistreatment of anyone, this is spiritual abuse. When people in the church rationalize abuse by suggesting the victim must not be spiritual enough, i.e. not “in the spirit” or “walking with the Lord,” this is spiritual abuse. When people in the church call abusers “baby Christians” that we must be patient with, this is spiritual abuse. When people in the church suggest that victims of abuse forgive their abusers, this is spiritual abuse. When people in the church suggest that victims of abuse turn the other cheek, this is spiritual abuse. When people in the church suggest that God must have had a reason or purpose to allow a victim of abuse to be abused, this is spiritual abuse. When people in the church minimize abuse in the church by saying, “Well, abuse is everywhere, you know,” this is spiritual abuse. If you are an abuse survivor and these are the kinds of things spoken at your church, it’s time to find better support. Abuse is everywhere where people are, regardless of their beliefs, but it is especially horrible in the church. For many victims of spiritual abuse, the abuser was standing in the place of God himself. Survivors of spiritual abuse struggle with the idea, typically planted by the abuser, that God hates them. Spiritual abuse stems from a desire to control and overpower others. It’s a desire to have the answers to life’s most difficult questions. It’s a desire to be right, and to be better than others. Typically, spiritual abusers are charismatic people who want to be worshipped for their own “godliness.” But for every charismatic, power-hungry abuser, there are hundreds, if not thousands of enablers who are just as guilty for helping to spread the lies and deceit of the abuser. Most “good church folk” wouldn’t dream of themselves as abuse enablers, and therefore rarely see their own hand in the problem. They only wonder why their “faith” isn’t very attractive to others. They blame their friends and family for walking away from their religion. Obviously, those who “fell away” aren’t spiritual enough. I believe that everyone is born with a spiritual nature, and it is our own unique path to find out what that means. By taking a step toward what is good and true, we move closer to God. Too often, what I see in the trappings of our culture is that the desire to be right is put ahead of a desire to know God. Scriptural passages have been twisted around and misrepresented from the first moments they were recorded. Christians who engage in such behavior are ignorant of what their own faith teaches. Christians who use fear-based tactics to put others down are missing the point of Christianity entirely. Without getting too far into theology and apologetics, the whole point is this: God is Love. If your particular brand of religion teaches anything different than that, it’s time to re-evaluate. Previous Previous post: They’re Everywhere!